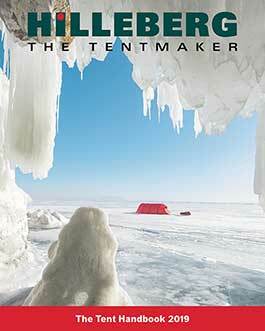 A large group tent that is both easy to use and quite lightweight. 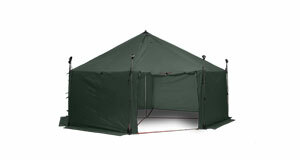 Modular design allows customization to specific needs. 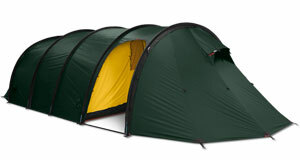 A very lightweight, roomy group shelter that offers excellent useable space and full standing height at its apex. 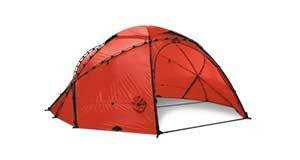 Can be set up with its own poles, trekking/ski poles and skis, or by suspending the support points.